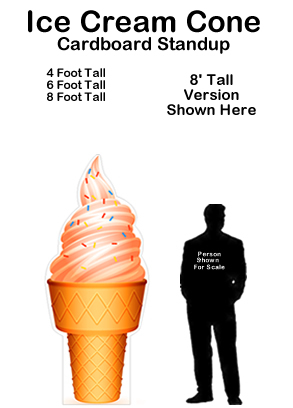 Ice Cream Truck Cardboard Cutout Standup Prop - Dino Rentos Studios, INC.
Make every day Ice Cream Day with our Ice Cream Truck Cardboard Cutout Standup Prop! 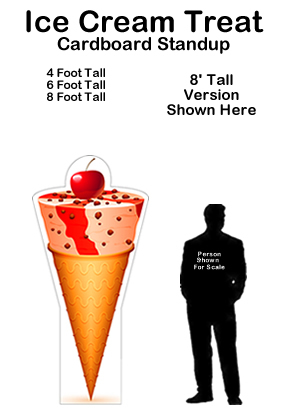 Perfect for Photo Ops and great for any dessert or ice cream themed party! 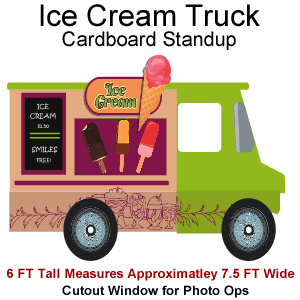 Stand behind Ice Cream Truck window for a great photo setup! 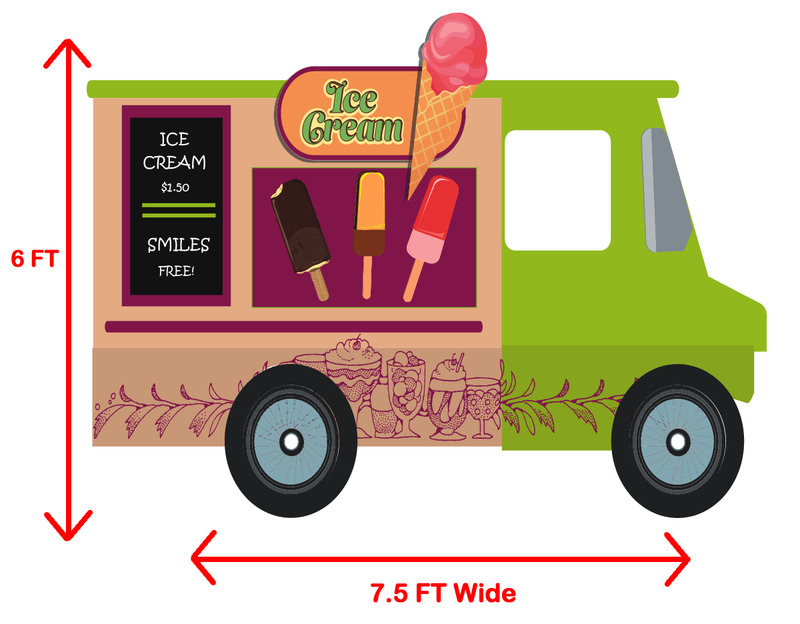 Ice Cream Truck measures 6ft in height and approximately 7.5ft in width. 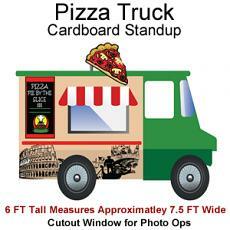 Truck window is cut out and measures approximately 13" in width and 17" in height. 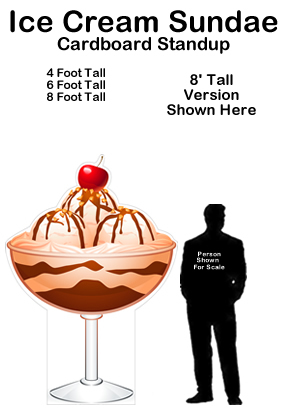 Printed on cardboard and assembles in under 30 minutes.